Often called the “sneak thief” of sight, glaucoma is one of the leading causes of severe visual impairment in older adults. It is a specific pattern of optic nerve damage and visual field loss caused by a number of different eye diseases. Most, but not all of these diseases, are characterized by elevated intra-ocular pressure. The pressure is not the disease itself, but the most important risk factor for the development of glaucoma. Anyone can get glaucoma, however, some people are at higher risk. It is vital for people with any family history of glaucoma, African Americans over 40, and anyone over age 60 to get regular eye examinations to detect disease as early as possible. In a glaucoma screening, a simple test called tonometry measures intra-ocular pressure. Since elevated fluid pressure is only one symptom of glaucoma and is not always present, tonometry is only one part of a complete exam. When indicated, a visual field test, called perimetry, is used to measure the field of vision. This can detect early loss of peripheral side vision. Although the most reliable way to detect glaucoma is by an eye exam through dilated pupils, vision screening programs can be useful to identify those who need appropriate follow-up by an eye care professional. 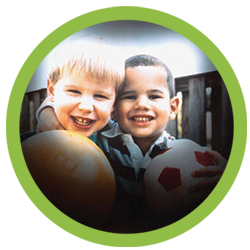 Early detection and treatment can substantially reduce the likelihood of severe vision loss or blindness.